Holiday 2018 Newsletter Available Now! ASAP needs your help this year more than ever. 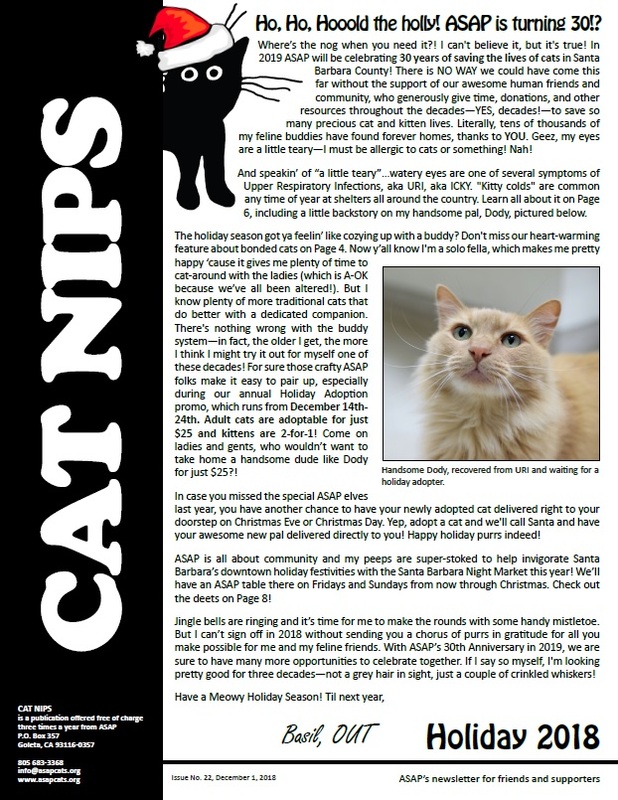 The cats need everyone to s-t-r-e-t-c-h their annual giving to secure the future of ASAP and its unique program for decades to come. There are many ways you can help: a gift of stock, a planned gift in the form of a bequest, a pledged amount over the next three years, or a tribute gift to honor a loved one, to name a few. A call to us will help explore the tax advantages available to you, while helping ASAP to continue and to grow. Please join us now in helping make a huge difference in what we can accomplish for many generations of cats to come! By donating to our General Fund, your contribution will help cover the most critical expenses that we are currently experiencing. We are committed to using your contribution wisely. 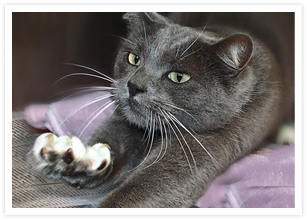 Contributions to our Lester Fund provide for extraordinary medical procedures for cats in need. This fund also helps protect our heavily used General Fund. Through your donation to the Alexandra Fund, you can help provide for the special needs of senior cats including special foods, medicines, and post adoption support. The Oscar James Fund was created to fund the care of kittens in our foster program. Your contributions allow us to buy kitten formula, food, and medical supplies for kittens too young for immediate adoption. A donation of $500 allows you to sponsor a cage for one year. Includes a cage plaque with your desired wording of up to 30 characters. Open until 7pm Wednesday & 12pm-3pm Sunday! ASAP is a 501(c)(3) organization.